Did McDonald’s Fight Get Kit Harington Game Of Thrones Job? Turning up for a regular job interview with a black eye usually isn’t ideal, but apparently it’s great for landing the role of Jon Snow. 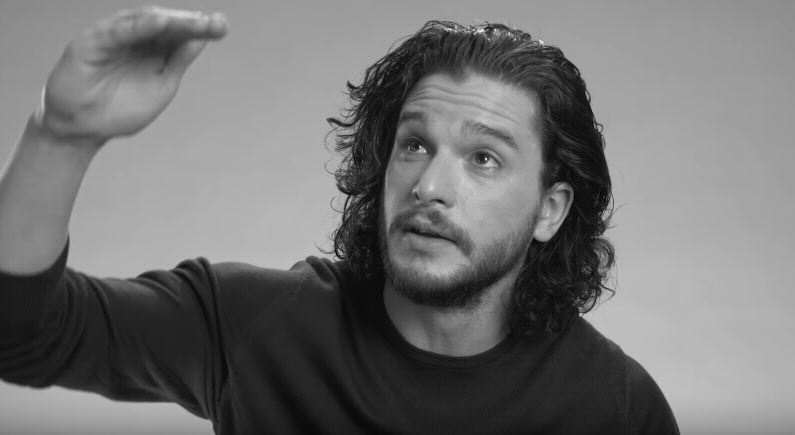 In an interview with W, Kit Harington revealed that he landed the role that catapulted his career and transformed him into one of the most talked about characters on television after showing up to his audition with a black eye. What’s even better is how he got it. I went into McDonald’s with this girl I was sort of dating at the time, and it was late at night, and there was no seats. I asked this guy and this girl he was with if we could sit at the same table as them, and they said yes. Then things escalated from zero to one hundred pretty quickly. We sat down, and quite quickly he started to be really rude to the girl I was with, calling her names. And then he called her something, like an ugly pig or something, and I got up and said, ‘No you can’t call her that, get up.’ So I called him up for a fight, which I had never done before. But his heroic actions didn’t go quite as expected. The guy was huge. Of course, he’d been sat down the whole time. He got up, and he just kept [getting taller], and I realized that I had to, at that point, throw the first punch otherwise I’d look like a complete wimp. And I got battered. Fortunately for him, no one seemed to mind the bruises. So then I went to the Jon Snow audition with a black eye, which I think that man who punched me in the face may have helped me get the job. So, if you’re watching, thank you!